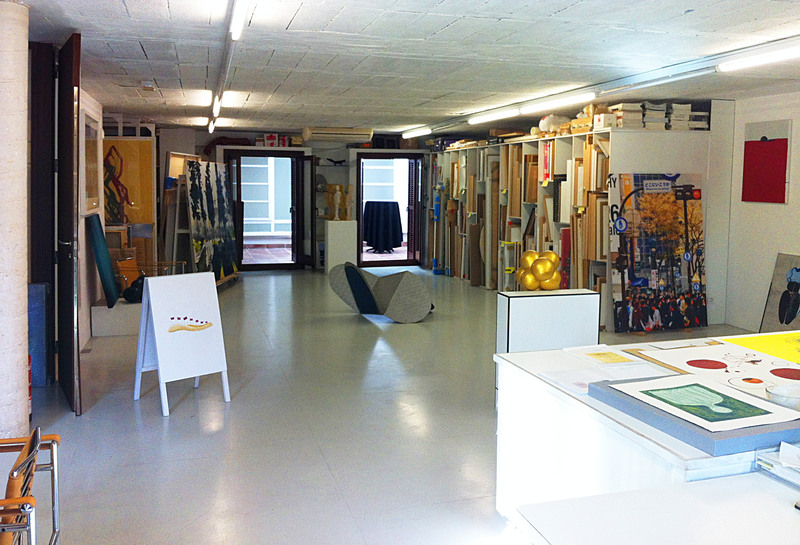 Maior Gallery was founded in Pollença in 1990. Since then we have developed a significant labor in promoting contemporary art. We represent both emerging and established artists, and work with new means to create innovative ways to explore, interpret, and visualize new languages and artistic experiences. Since July 2004, Maior has a new space in Palma. The gallery has participated in major contemporary art fairs such as ARCO (since 1994), ArtCologne (since 1995), Loop, Estampa, Artissima, KIAF, PULSE Miami and PULSE New York, among others. During summertime, the gallery organizes a series of video art screenings entitled "The video on the roof": on July and August nights, critics, curators, museum managers and artists present their latest video creations selections on the gallery’s roof in Pollença. A program of approximately seven exhibitions per year offers a taste of young artists and prominent names’ more recent work. We also work with museums, institutions and foundations in the dissemination of our artists’ work, nationally and internationally. We also provide experimental workshops in which the artists develop different techniques. Amador, Broto, Campano, José Pedro Croft, Xavier Grau, Eva Lootz, A.R. Penck, Jürgen Partenheimer, Charo Pradas, Susana Solano, Darío Urzay, Mónica Fuster, Joan Cortés, Núria Marquès, Aina Perelló and Nicholas Woods are among the artists who have made editions for the gallery.